There may be a National Get Outdoors Day, but when you live in rural Northern Minnesota where the winters are long, it really should just be called every day in the summer. We try to get outside as much as we can during our short summer. It’s a way for us to soak up some Vitamin D, get some physical activity, and connect with our natural world. Play in sand on a beach or in a sandbox. Build a campfire and make some delicious s’mores. Plant a garden and take care of it. Make a nature craft like pressed flowers or leaf rubbings. Pick berries (either wild, or at a U-Pick farm). Look at the stars on a clear, dark night. 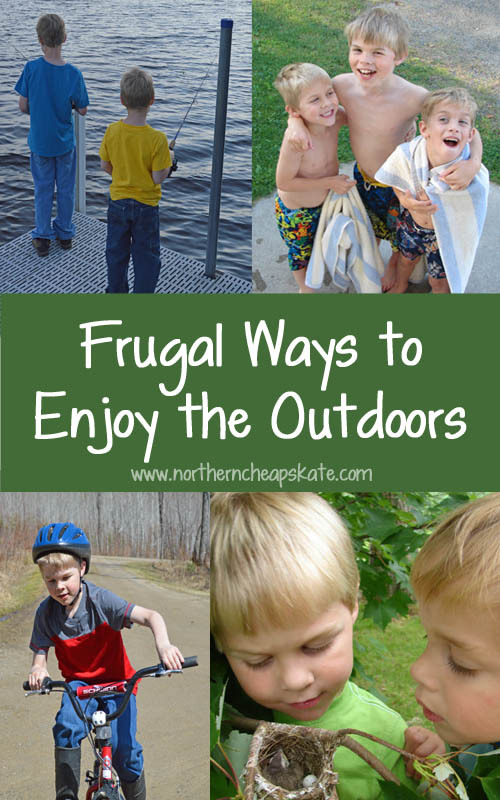 Check out our our other ideas for getting outside. And if you still need some help, you can download free guides to introduce kids to the great outdoors. The average person spends 6 hours a day in front of a screen. It’s time to log off, get outside, and breathe some fresh air. Get outdoors and experience all the beauty the world has to offer. You’ll find the experience will leave you more active, less stressed, and with more money in your wallet.